Holding auditions is also the perfect moment for us to get to know you better in person so we ask you for a quick chat after hearing you play. We want to find out a bit about what you think you’ll bring to NYO and what you hope to gain from being in the orchestra. You might also want to think about what we may expect of you as musicians and role models. It is a good opportunity for you to ask us any questions you have about NYO, too. We may also take this moment to talk about progress in your playing and give you any advice after hearing you play. 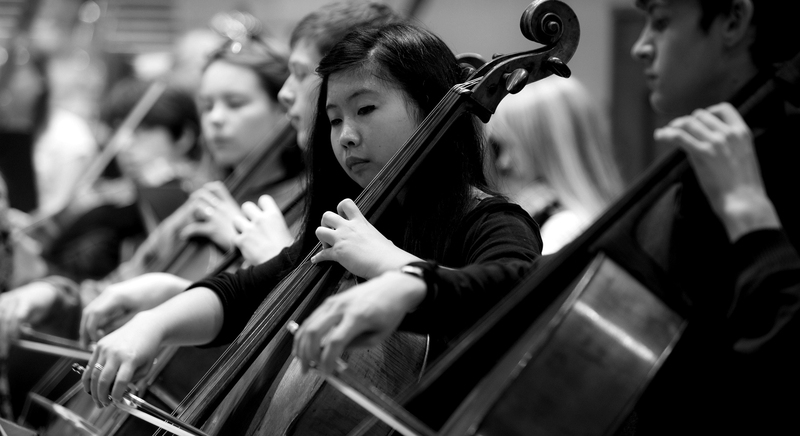 Led by an NYO Tutor, this workshop is a chance to work with other musicians, which is what NYO is all about. We may look at general ensemble skills, simple sight reading, technique, or focus on the orchestral excerpts. It allows us to see how you work in an ensemble context and enables you to draw insight from our experts that you can apply immediately to your own music-making. After your individual audition you’ll need to wait until your workshop time. This might be up to an hour and a half depending on how big your group is as we need to wait for the other musicians in your group to finish their audition.